All five of the “Big-Dogs” of MIAA A Conference wrestling were in action last week. All mixing it up with each other in key dual meets. 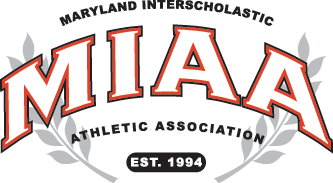 Mount St. Joseph (No.1 in the latest Maryland Rankings) defeated No. 6 St. Paul’s at their Smith Center on Saturday morning, 48-15. When you come into a showdown with a squad on the level of St. Joe, giving up five forfeits, the chances of victory are not great – everything would have to go your way. Things went the Gaels way in this affair with the Crusaders managing just four wins. No. 2 Zach Phillips squared off with No. 3 Dylan Blau to open at 152. Phillips put St. Joe’s first points on the board with a 5-4 decision. Jonathan Short received a forfeit at 170 for St. Joe, then No. 1 Jack Parr (182) made his season debut for St. Paul’s after battling a shoulder injury. Parr picked up a 7-1 win over Anthony Zancan. After three straight forfeits from 195 to heavyweight the Gaels were up 27-3. No. 2 Nasir Wilkinson worked to a major-decision over No. 4 Joe Couch at 106 and World Champion Kurt McHenry (No. 1) tallied a technical-fall of No. 9 Jacob Wright, 18-3, to bring the Crusaders within 15, 27-12. St. Joe went on a four-match tear to put the match away at this point. No. 1 Chris Barnabae (120) dropped No. 2 Will Guida, 6-1. Nathan Porter, who dropped from 132 (No. 3), to take on No. 5 Gene Quodala at 126 picked up a 5-3 win. Clement Woods pocketed a forfeit at 132 and Matthew Jun gained a fall at 138 to make it 45-12 in favor of St. Joe. No. 8 Chris Roybal closed the dual on a winning note for the Gaels with a 9-3 victory over No. 11 Everett McDuffie. On Wednesday evening at St. Paul’s, the Crusaders forfeits did not undo them since Spalding (No. 7) came into the match banged up with holes in their lineup. At the time of the match, Spalding held the higher ranking, but the Crusaders’ 40-33 win pushed them up the rankings. The forfeits were a factor, Spalding received four and St. Paul’s benefitted from three. But, the story of the match, and the reason for a Crusader victory, was St. Paul’s being 5-2 in the contested bouts. Among those big wins was at 160 where Garrett Fisk (No. 2 at 152) bumped up for Spalding to face-off with Dylan Blau. Blau was ready for the challenge and more, rolling to a shocking 7-1 win. Nasir Wilkinson won by a major-decision at 106 for the Crusaders over No. 6 Brady Pruett, 11-2. At 145, No. 2 Max Hammond added three to St. Paul’s tally with a 4-2 win against No. 6 Nick Paolucci. One of the Cavaliers contested wins came from No. 1 PJ Truntich at 126 over Gene Quodala, 4-2. In other Wednesday night action, No. 2 McDonogh faced No. 5 Loyola at Boys’ Latin and headed home with a 38-27 win. Loyola took an early 15-7 lead after wins by Shawn Strand (126), Kyree Day (138) and Josh Aybar (152). Ray Kable (132) and Sean Scott (145) tallied victories for McDonogh through the early slate. At 160, the Eagles started a stretch of five straight wins to go ahead 32-15. Harrison Trahan (160) and Domini Solis (170) ran up technical-falls. No. 6 Jackson Bonitz won a close one with No. 16 Ian Takas at 182, 8-5. Jack Wimmer (195) and Garrett Kappes (220) registered falls. Loyola’s Bennett Traurig (No. 8) came into his heavyweight match with Cody Williams (No. 9) as the underdog but flipped that convention on its head with a second period fall, 3:25. Jimmy Douglas put forfeit points on the board at 106 to bring the Dons within five, 32-27. With a double forfeit on tap for 113lbs, the 120lb match would decide the victor. Loyola’s Kyle Zhong faced an uphill battle with state champion Cooper Flynn. The sophomore from Tennessee did the expected and gained a quick fall 49 seconds into the bout. Pictured above: Mount St. Joe’s Zach Phillips (left) got the Gaels on the board with a 5-4 win over Dylan Blau as the Gaels went on to defeat St. Paul’s, 48-15, in a key MIAA A dual-meet battle.